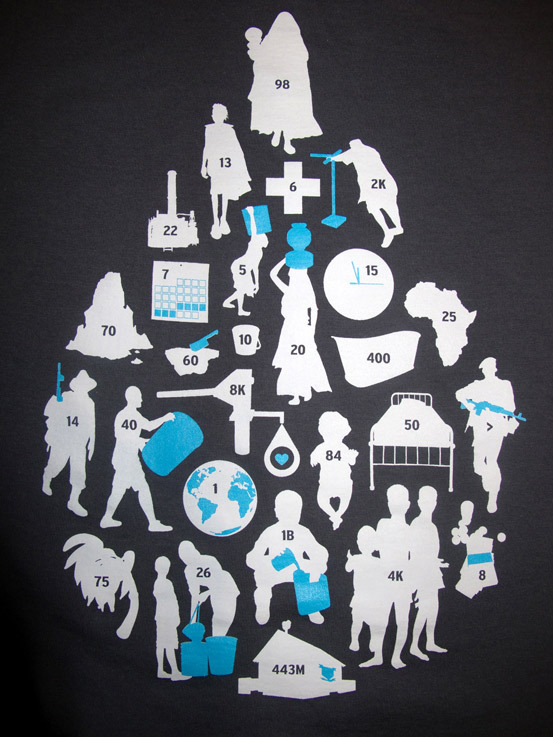 Build a Well with T-shirts? 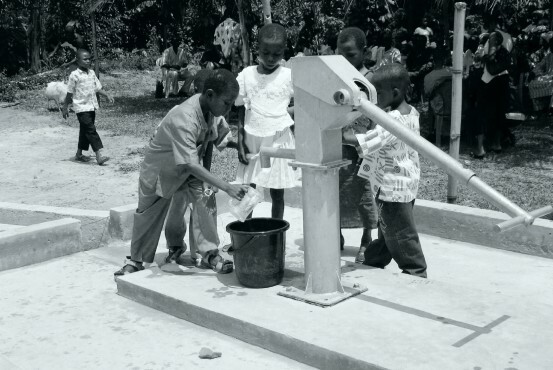 As graduates fresh out of college, the members of wellDone traveled to Africa during the Summer of 2005, during which they observed the critical need for safe drinking water in communities throughout rural Ghana. Wanting to make a difference they launched WellDone with one goal: funding, constructing, and the long-term managing of six wells in villages throughout rural Ghana. The costs associated with the drilling of a single community well amounts to only around $8,000. That number is actually less costly than the installation of just one industrial sized cappuchino machine you normally see at many cafes like Starbucks. 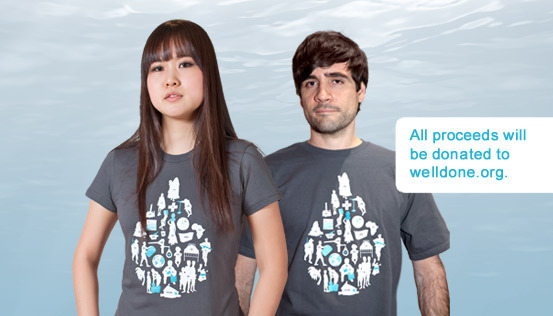 We worked closely with the WellDone team to design a t-shirt that highlights the various facets of the global water crisis through the visualization of 27 striking water statistics (see the actual art below). The icons paint a picture that remind us that we must both conserve earth’s most precious resource, while working to improve clean water access to those most in need. Furthermore, the key to each of these icons and their associated numbers is listed on the inside/back of the tee below the label art. Never has looking this good, done so much good. Your purchase of one or two tees is quite literally one step further on the road to providing a permanent source of clean water access for an entire community. Available in styles for both men and women. Previous Post: That’s One Nerdy Trio of Prints, Harry!! !